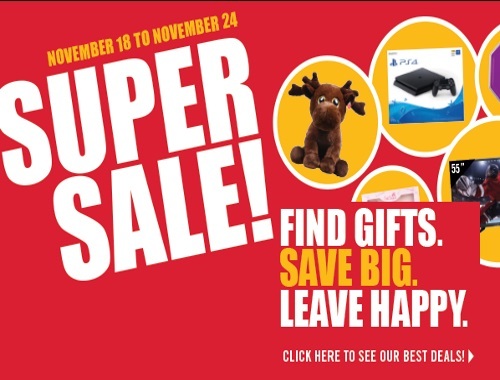 Shoppers Drug Mart has their annual Super Sale on now! Find gifts, save big and leave happy! Get special exclusive limited edition gifts as well as deals on electronics and items throughout the store! Offers are valid November 18-24, 2017. Please note some deals are valid only on the weekend. Quantities are available while they last. Stock varies store to store. Also, the next Shoppers Drug Mart Spend Your Points Event/Bonus Redemption is next weekend! Get your Optimum points ready. Browse all our Black Friday 2017 posts here.